Sunday the rabbi stayed home. Sunday the Rabbi Stayed Home was written by Harry Kemelman. Sunday the Rabbi Stayed Home was published by Fawcett Books. 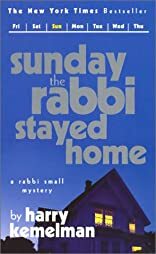 A subject of Sunday the Rabbi Stayed Home is Mystery/Suspense.